Avarya Fine Foods is a manufacturer and retailer of a range of delectable mithais, namkeens and dry fruits. A premium quality food store, Avarya was established in an endeavour to reviving the traditional flavours of India by bringing authentic sweets and snacks, along with exotic dry fruits to urban consumers. We also offer a range of gifting solutions to corporate organizations in customizable packages for meeting their requirements. We cater to diverse preferences and tastes with a state-of-the-art manufacturing and packaging facility. Our stores are spread across three locations in Mumbai, also exporting to Singapore and Malaysia. Over the years, Avarya has demonstrated robust business performance. ‘Avarya’ stands for ‘irresistible’ in Sanskrit. 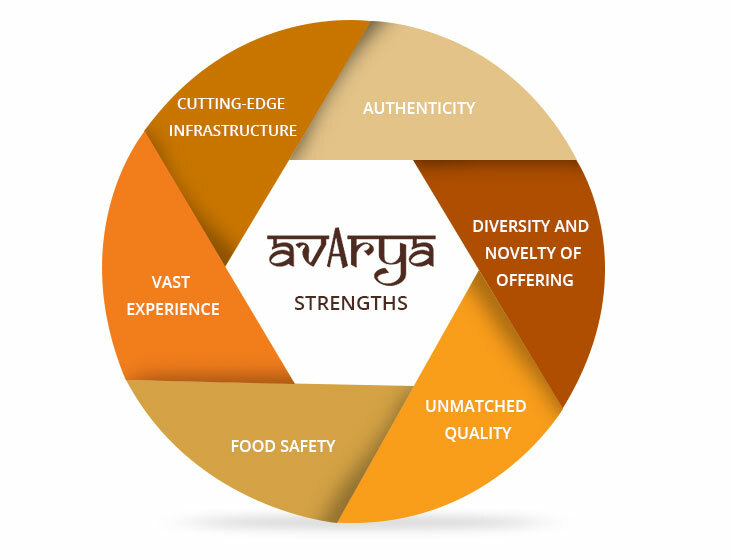 This is precisely what Avarya Fine Foods aspires to offer its customers. At Avarya, we understand the preferences and the local tastes of Indian consumers. We leverage our expertise in traditional Indian cuisine and modern tools to prepare sweets, snacks and savories that not only retain but also enrich the original flavors. Our baskets and boxes of mithais and namkeens are homemade with carefully picked ingredients and authentic recipes to capture the ethnicity and blend them with irresistible taste. We envision becoming a frontrunner of ethnic sweets and savories in India, setting newer benchmarks of quality, innovation and authenticity. Quality is an indispensable part of our business. We adhere to industry standards and strive to create new benchmarks in performance. Every process, every requirement and every delivery is handled with utmost focus on quality. It is a matter of pride and honor that our clients consider us a reliable partner, someone they can trust. We make sure that deliveries are handled with utmost precision in budget and on time always. Furthermore, we drive reliability not just in our deliveries, but also in people, processes and equipment. We believe that cuisines evolve with time and the preferences of consumers. Our chief aim is to strike chord with customers’ taste buds. With this in mind, our team continuously explores new ways of achieving this, without compromising the traditional flavors. You can customize the gifts with personalized messages. We also deliver your gifts directly to the doorsteps of your friends or family. An organization’s employees and clients are often considered crusaders of its brand. One way to leave a lasting impression on your stakeholders is by gifting them a symbol of thoughtfulness. Gourmet mithais, farsans and dry fruits are the sole contenders of kindling loyalty and positive perception of your organization, establishing a unique brand image. Amidst a dearth of gifting ideas, Avarya offers a broad range of gifting solutions for corporate organizations. You can customize your gift hampers and gourmet baskets with mithais and dry fruits of your choice, and personalize them with messages. We use durable, high-quality packaging for the gift hampers and deliver it to your peers, colleagues and clients. We have a state-of-the-art manufacturing and packaging facility. We adhere to the specifications of FSSAI (Food Safety and Standards Authority of India), ensuring superior quality and food safety. Our expert team employs modern techniques and age-old recipes to bring a range of mouth-watering mithais, namkeens and dry fruits to our customers. We are equipped with structured processes to manage orders of large volumes within the speculated time. We also possess a well-appointed warehouse for streamlined inventory management of raw materials, and enabling efficient export. At Avarya, quality is not an afterthought, but a promise. We follow industry best practices and incorporate industry standards to ensure stringent adherence to quality guidelines. We have a robust quality management system across functions, from raw material procurement and cleaning to manufacture and packaging. Packaging is also handled with utmost care to ensure that the products retain its freshness and flavors till it reaches our consumers. We are a registered firm with FSSAI, a national body governing and regulating food safety for promoting public health. We comply with FSSAI norms and specifications to ensure highest level of food safety. Our mithai and dry fruits are in the process of acquiring HACCP certification. HACCP defines systematic approach to ensuring that the food is safe from chemical, biological and physical hazards and mitigate potential risks for unsafe food. At Avarya, we understand the needs of the Indian consumers. We use ethnic recipes and a combination of traditional and modern methods to bring distinct flavours and tastes in mithais and farsans that linger for a long time. We offer an array of delectable mithais, piquant namkeens and scrumptious dry fruits to cater to different taste buds. Our team devises innovative recipes that retain the traditional taste, thereby making it enjoyable by all. We offer a portfolio of products that is novel, unique and yet original. 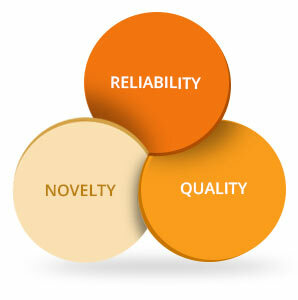 Quality is our key core value. We ensure the best quality at every stage of delivery. We use the purest of ingredients, and employ tested recipes and robust processes for manufacturing food products of unmatched quality. We use high-quality packaging material to ensure the products stay fresh and flavourful. We employ processes that comply with the specifications defined FSSAI (Food Safety and Standards Authority of India) to ensure superior hygiene and zero health hazards. Our manufacturing and packaging facility is also in the process of getting HACCP certification, which is a global certification for food safety. Our directors bring with them rich experience and expertise in the food and retail sector. We leverage their experience to create maximum value for our customers, thereby ensuring customer delight. The manufacturing and packaging facility is equipped with the latest technology to streamline our production processes and enhance efficiency. When used along with structured processes, this ensures highest levels of quality and hygiene.